I was recently had a huge realization that I have been addicted to acidic foods. For years I have been shifting and releasing certain foods and cleaning up my diet. What I now realize is that many of those foods and drinks had one thing in common and I just now made the connection. Nearly everything I have given up because it was making me sick has one thing in common; they are acidic. After doing a little research, I realized this is an incredibly prevalent problem. It all started when I was realizing that I was having cravings for carbonated water. I no longer drink caffeine, sugar or any sweeteners including fruit or vegetable juice so that eliminates most fun things to drink. I started drinking carbonated water assuming that is was a healthy option. I have been addicted to enough foods and drinks to recognize my addictive pattern when it rises up. Anytime we crave something, there is always an addictive component so I was surprised at how strongly I was craving soda water. So I did a little research and learned carbonated water is highly acidic. Since that is the only thing, aside from perhaps some salt or minerals that differentiates it from regular water, I started digging into the topic and did some research. What I learned shocked me. I learned that not only is carbonated water acidic, it is highly acidic. When I looked into what else is acidic, it turns out that some of the most acidic foods and beverages were things I had already given up. Even though I had noticeable digestive and systemic reactions to certain foods, they were pretty much all also acidic. So I came to the realization that I have been an acid addict and not the psychedelic kind but the kind that is in so many of our foods and drinks. Since I consider myself to be a fairly educated person on health, wellness, and nutrition, I decided that if I was didn't know about this, a lot of other people probably didn't either so I decided to write this to help educate people on the dangers of acidic food addiction and consumption. I don't know about you, but none of those things are things that I want in my life. I had been feeling for some time like I was not as vibrant as I should be given my health regimen, diet, and lifestyle and when I pinpointed this issue, a lot of things suddenly made sense. 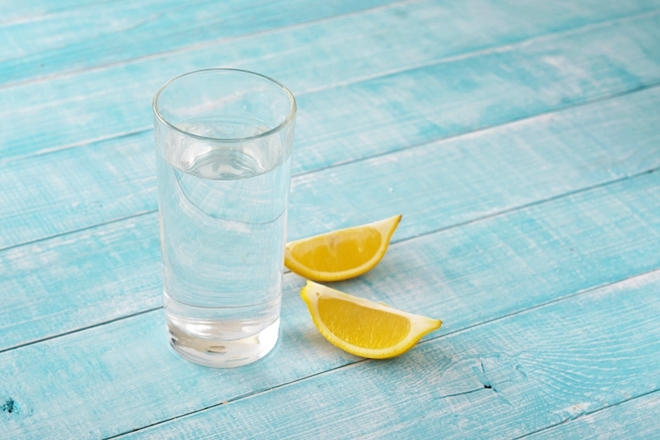 I started drinking carbonated water more after I gave up liquor as it was a sort of fun drink I could have at a bar or restaurant that was not just plain water. I also started buying cans of La Croix because they were convenient to take on the road and were not plastic (which I try to avoid for numerous reasons). One thing that struck me about this realization is that when we have an addiction, the body and tries to satisfy it in a new way if the original source has been taken away. For example, if you are addicted to sugar, and you eliminate refined sugar from your diet, you may suddenly crave starches, grains, or fruit which processes to sugar in the body. So I was unknowingly falling into this trap when I gave up other acidic foods and started to consume a lot of sparkling water. This list is basically a list of all of the foods and drinks that I have loved, consumed in large quantities, and then given up over the last several years. I just never made the connection that they had something in common. Now most of these things are things we tend to recognize as being problematic health-wise. It is interesting to note that many of these are also highly addictive behaviors or substances individually so when you look at the acid correlation, it makes sense. To reverse an overly acidic system (acidosis), there are several simple things you can do to regain your health. Most are simple changes and others simply require refocusing. Please note that I highly recommend seeking the advice, guidance, and monitoring of a health professional or nutritionist to advise you. I decided to write about this on my spiritual blog because if we aren’t doing well physically, we cannot do well spiritually. Eating an acidic diet causes brain problems and since our brain is like command central so for our bodies so if that isn’t doing well, we are not likely to be spiritually centered as well. It came as a shock to me that almost all of the foods I was eating were acidic and causing a whole host of problems for me. No wonder even though I was eating organic food, I wasn’t feeling my best. I was eating a diet that was acidic without realizing and I think a lot of people do that same. I hope this information helps you! Best of luck on your health journey!